Vcodex provides expert, impartial advice on all aspects of video compression to companies, institutes and industry groups worldwide. H.264 Advanced Video Coding is fundamental to a growing range of markets such as High Definition broadcasting, internet video sharing and mobile video. 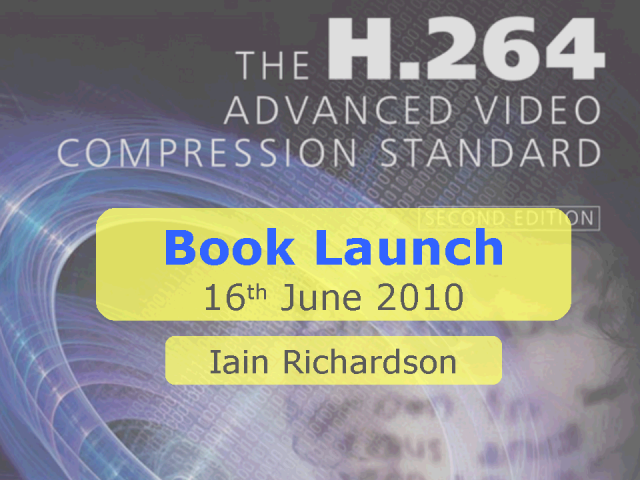 In this webcast, Iain Richardson will launch his new book, "The H.264 Advanced Video Compression Standard". Sign up to this free webcast to learn what's in the book and to ask the author questions online.